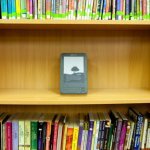 Is the Kindle Friendly Enough for the Elderly? last winter. It was December and I was visiting home for Christmas. She is 68 and staunchly proud of everything that is old, definitely books too. She is an avid reader and you will be surprised by how much she knows about books, authors, poetry, and lyrics.
. No, it is not that we didn’t offer her a better phone, we all wanted to, but she strongly refused saying that everything was the way she wanted and that she was set. As a Technical Writer by profession, the natural instinct to explain kicked in. I took the onus on myself to explain to her that I was reading an e-book, explained about some key features, took her to the App Store, checked out some Stephen King, and then asked her to try it for just that night. She asked me tons of questions and that got me to thinking whether our modern gadgets are friendly enough for older people. Was the Kindle designed friendly enough for use by people who are not comfortable with the fancy features of modern technology and may never even use the Bluetooth? 1. Take a book. Take the Kindle. 2. Open it. Switch the power button on. 3. Begin reading. If it is a half-read book, then you begin reading from the bookmarked page. Select a book and begin reading. If you are already in the middle of reading a book, the bookmark will remember where you have left off and take you to that page directly; you do not have to select the book again. 4. Flip pages. Tap or slide on the screen to flip pages. With the new Kindle Voyage, you squeeze the bezels slightly. 5. Underline important points. You can add notes and underline important points too. 6. Close book when you are done. Switch off the Kindle when you are done. 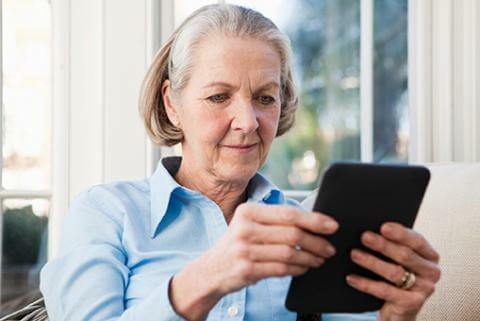 Looking at the pros and cons, I would say that the Kindle is a winner for older citizens. A lot of older people say that technology and gadgets are not for them, but interestingly, they are embracing the Kindle faster than smartphones. The cons are negligible because, generally, we do not buy books everyday and we could assist older people when they do buy books. Also, in time, they will definitely get the hang of browsing books in their library and the Amazon environment. However, I must that add that the Kindle seems to be friendly particularly for reading purposes. The Kindle tablet versions may still be a struggle and will specifically benefit users who need or want the Text to Speech feature. I still have not figured out what it is with older people, but once they love something, they really do whole-heartedly. The Kindle Whitepaper is the one gadget that my grandma truly approves of and I am planning to gift her a Kindle Voyage this New Year. Last updated by Sarah Lewinsky at December 20, 2015 . 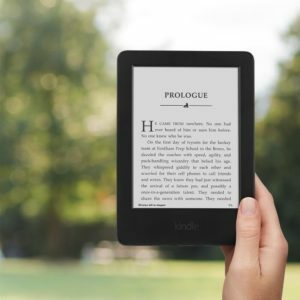 The Kindle, a wonderful e-book reader that senior citizens can easily use to enhance their reading experience because of its good and easy-to-use features. Kindle Voyage is the best e-book reader so far. I do not know how to pick a good Kindle. Iam 81 years old. I need big letters to read . One nice thing that the kindle has is the ability to make the letters as big as you need them. All you need to do is open your ebook, press 2 fingers to the screen and slowly pull them apart. You can also make the font smaller by pinching your fingers together. Great advice but if Erma has a common elderly symptom of very smooth skin on the finger tips, the screen will not respond to touch except with a stylus, this makes it difficult for an elderly person to operate if you need two fingers. Kindle needs to address the elderly needs. Could you please tell what model is that one? I agree. I have a 90 year old mother who has had a kindle for years. When her first 2 died, I bought her the Kindle Fire. Over the last 6 months she’s stopped using it. She switches on wi fi by mistake and can’t get out of it. She opens too many screens when trying to get back to what she’s reading and thinks she’s stupid. She’s just old. 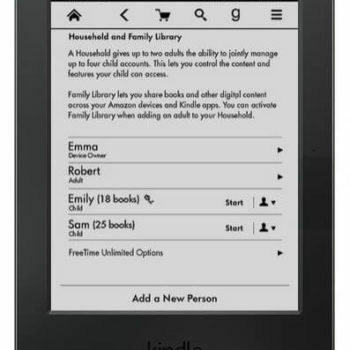 We need a simple kindle for old people and I need it for my mother NOW! How about making the power on button bigger. It is impossible for my friend with limited feeling in her arthritic fingers. If someone turns it on for her she uses large fonts to read easily.